In addition to shooting weddings under the umbrella of my own business, Alicia Q. Photography, I spend much of wedding season working alongside other talented wedding photographers as a 2nd shooter. A 2nd shooter's job is to be another pair of eyes for the lead photographer and to assist in any way needed. I love 2nd shooting and I since moving to North Carolina last year, I've 2nd shot dozens of weddings. In all of those situations I am working basically as an employee of the lead photographer. I am so appreciative when a lead photographer will allow me to share some of the images I capture as a 2nd shooter. The wedding ceremony took place at the bride's family home on Atlantic Beach, which was actually one of the first houses built there! It was ridiculously adorable and minimally updated so it retained all of it's original charm. I never wanted to leave. It was nostalgic and rustic and everything you love about Nicholas Sparks novels. And even though the sun hid behind a blanket of clouds all day, the North Carolina coast always impresses. 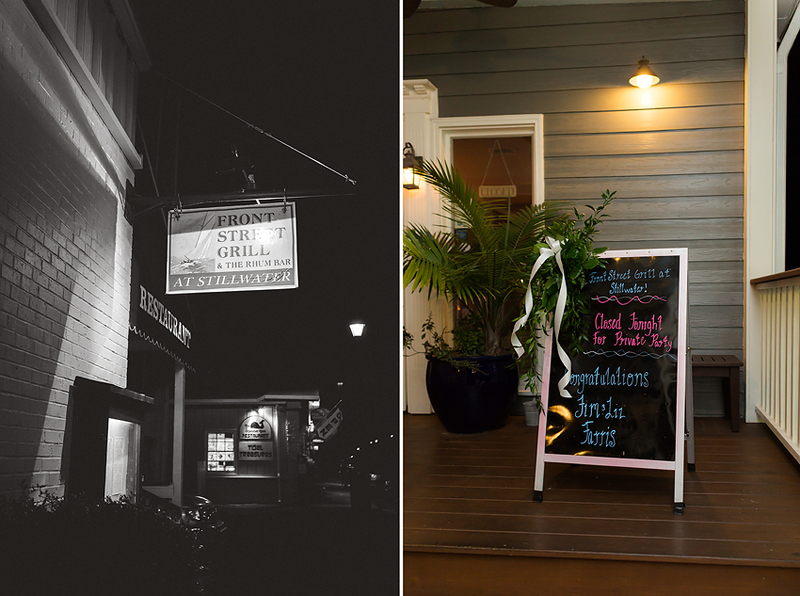 After the ceremony, everyone headed to the historic Front Street Grill at Stillwater on the Beaufort Waterfront. The ambiance was perfect, the food was delicious and I have every intention of going back with my husband for a date night. Without further ado, here are some highlights from my 2nd shooter archive. Thank you again, Jaclyn, for trusting me to work with you and for allowing me to share these images.